This project is made to overcome the electricity crises and to meet the power demand of Gurgaon region at Haryana. 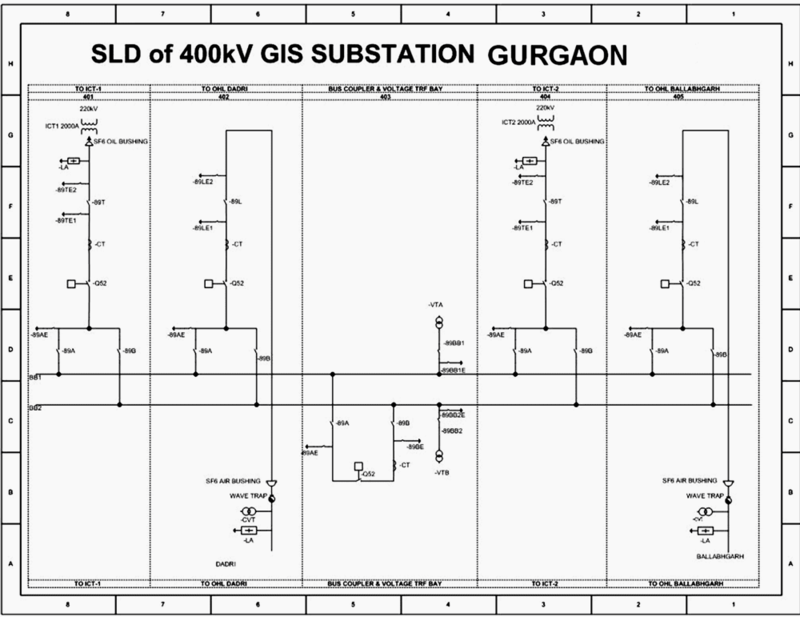 It describes the 400kV GIS system of POWERGRID, Gurgaon substation. As the Gurgaon region is upcoming with multi industrial, financial sectors, commercial and residential complexes, offices, clubs and an improved infrastructure, there is a huge demand of electricity in this region which cannot be met by the existing structure of power supply. 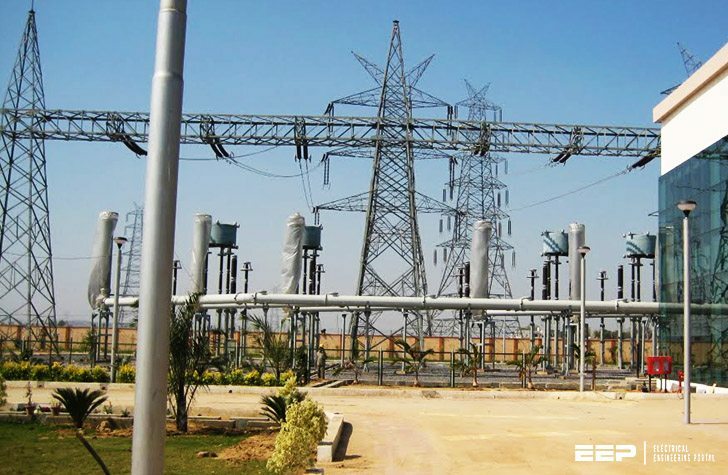 To meet the requirement a 400/220kV GIS project is set up which is in its completion stage. This project is associated with Northern Region Strengthening Scheme-VI (NRSS-VI) as agreed during the 18th Standing committee meeting of Northern Regional Transmission Planning held on 6th June 2005. On-Shore Supply – Includes lightning arrestor, CVT, Wave Trap, Cables, Transformer, C&R Panel. Under LOA the contract has been given to ABB, BHEL, BPL, GSW, etc. This project is fed by LILO of existing 400kV Ballabhgarh-Bhiwadi transmission line through double circuit. Major towers in this line used are multi circuit on which four circuits at a time can be used to deliver power. Due to the major commercial and residential hub in this region the cost of land is very high and keeping in view the future hike in land prices these multi circuit tower are installed. The other two circuits in these multi circuit towers can be used by accommodating two circuits of 400/220kV GIS substation at Manesar. Presently this project consists of 2 x 315MVA, 400/220kV Transformers which will deliver power of approximately > 550MW. The supply is step downed by two nos. of 315MVA Transformer from 400kV to 220kV and is fed to Haryana Vidyut Parashan Nigam Limited (HVPNL) by four outgoing feeders. This project is equipped with latest technology of GIS System, GIS stands for Gas Insulated Switchgear in which switchgear assemblies (CB, DS, ES, CT, PT etc.) are enclosed in a metal enclosed chamber which in filled with gas (SF6 gas) and the enclosure is earthed. The total land used in this project is 9.5 acres. 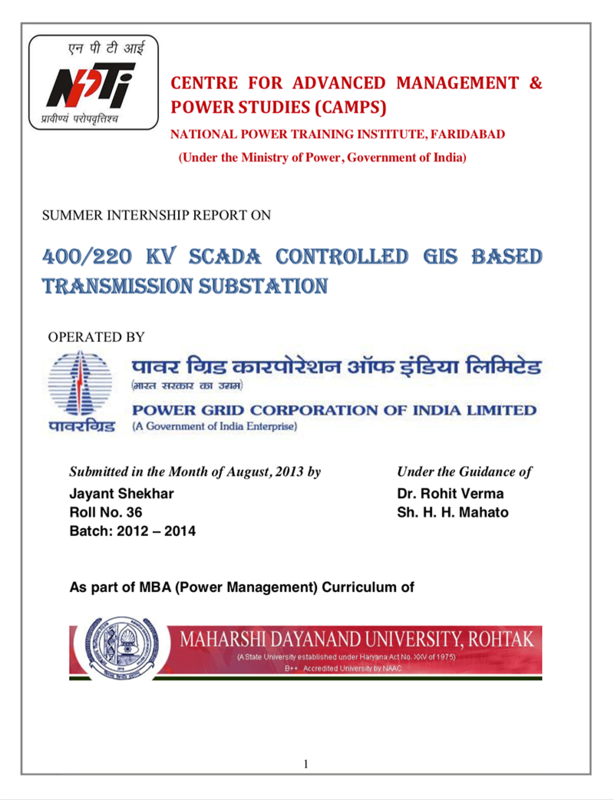 This project describes the 400kV GIS system of POWERGRID, Gurgaon substation. There is total no. of five bays in 400 kV systems and seven nos. of bays in 220kV systems.